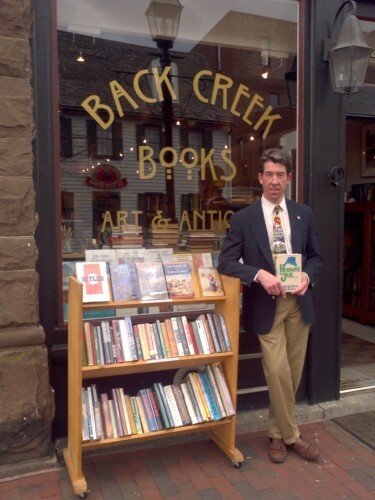 Rock Toews bucked the trends when he took his on-line e-tail book business to a brick-and-mortar book store and made that counter-intuitive transition successful. 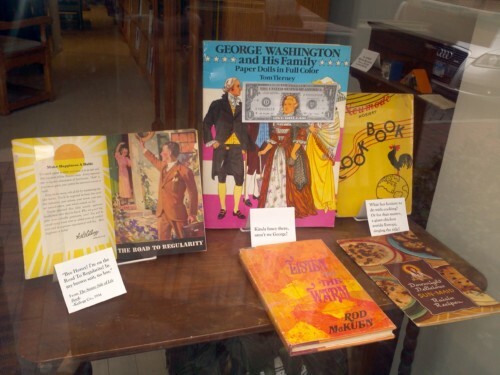 Now, with his West Street shop filled with good books, including rare and collectible tomes worth thousands, he’s now hoping that his customers will bring him bad books. This ingenious contrarian marketing ploy is already scoring well – it secured a feature article in last Sunday’s Capital and now has earned the MainStreets Annapolis Partnership business of the week spotlight. Eric Smith, author Lucia Robson and Lucinda Edinburg, curator of the Mitchell Art Gallery at St. John’s, are the contest judges. MainStreets Annapolis Partnership is made up of local business owners,property owners, the City of Annapolis, lenders, real estate development professionals, residents and local business associations. MAP’s five committees work to enhance the business communities Downtown, in Eastport, on Inner West Street, and in West Annapolis.